Stylized characters are highly used in movies and games. Furthermore, stylization is mostly preferred over realism for the design of toys and social robots. However, the question of what makes a character appealing remains still open. 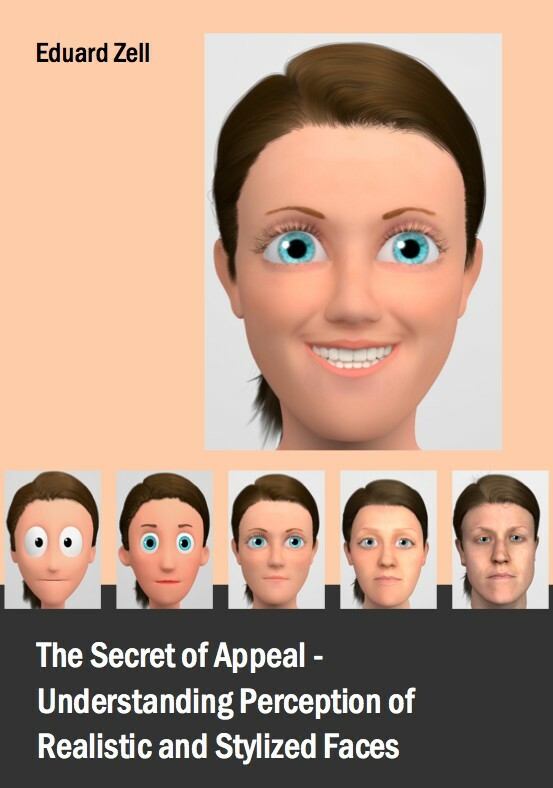 In this context, computer graphics algorithms enable the creation of highly controllable stimuli, simplifying the examination of specific features that can strongly influence the overall perception of a character. This thesis addresses both issues: how to create highly controllable stimuli and how to improve the understanding of the crucial factors for achieving character appeal across different stylization levels. The first part starts with all relevant aspects for creating virtual doubles. The following chapters present algorithms for transferring materials and textures as well as facial animation across different stylization levels. In the second part, the perception of stylized faces is investigated using rating scales experiments as well as an ERP-experiment. The results reveal that in contrast to the uncanny valley hypothesis, realism is an unreliable predictor for appeal. Instead, it is advisable to consider e.g., the stylization level of shape and material independently.